special benefits for our loyal customers! Every customer who purchased products from the following Themeforest accounts Olegnax, Themoholics or Queldorei can get up to 50% off on TemplateInvaders exclusive products. Learn how below. Customers who purchased one of the our Magento Themes can get 50% off on One Step Checkout Magento Extension. Customers who purchased one of the our WordPress Themes can get 30% off on TI WooCommerce Wishlist Plugin. Customers who purchased any other product from Olegnax, Themoholics, or Queldorei can get 10% off on any TemplateInvaders product. 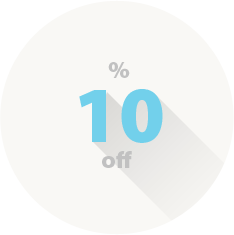 To get a discount you need use your Themeforest Purchase code in coupon field on cart page. 1. First off all get your purchase code from your Themeforest account. You can learn where to find your purchase code here. 2. Add one of the TemplateInvaders Products to cart. 3. Add your purchase code to coupon field in cart and if it is correct you’ll get a discount! 1. You can use your purchase code to get a discount only ONCE! One discount per one purchase code. So make a decision carefully. 2. 50% Magento and 30% WordPress discounts are applied to the specific products only, not to the whole cart. 3. Do not share your purchase code with anyone!